If you’ve ever spent time in a steam room, you know how invigorating it can be. 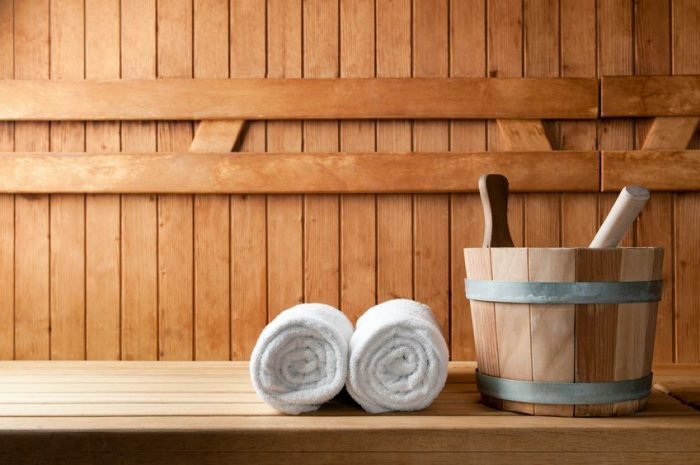 But what you might not know is that sauna bathing could help your blood pressure as well. That’s the finding of a recent study that involved more than 1,600 men. One potential reason for the link, according to the researchers, is that a sauna’s warmth increases blood vessel flexibility. As a result, this increases blood flow and relaxation. This helps to lower blood pressure. Also, sweating in a sauna can act as a natural diuretic. Blood pressure problems are often treated with diuretics. Sauna bathing, according to the study, can increase the temperature of the body by between 3 and 4 degrees Fahrenheit. This temperature increase helps the blood vessels widen, improving blood flow. This also lowers blood pressure. There is one important consideration about this study. It looked at sauna bathing in Finland. The average sauna temperature there is between 176-212 degrees Fahrenheit. Saunas or steam rooms that work at lower temperatures might not offer the same benefit. More research is also needed to see if the benefits translate to women and those who don’t follow a regular sauna therapy routine. Watching your diet, maintaining a healthy weight and getting plenty of exercise can all lower blood pressure. And it also looks like getting in a sauna on a regular basis can help as well. · Dehydration – Because you’re sweating in the steam room or sauna, you’re losing fluids. Your risk of dehydration increases. Be sure to drink plenty of water before and after your steam session. · Burn risk – Be careful not to accidentally touch any hot surface in a steam room. This could lead to a severe burn. · Alcohol consumption – Never drink alcohol in a sauna, or go in a steam room intoxicated. If you pass out, that could lead to potentially deadly heat exposure. Try a cool shower instead. Again, there are some risks involved with regular sauna bathing. But as long as you use some common sense, you should be fine. Heading to the steam room on a regular basis can be invigorating and refreshing. And, as research shows, it can help lower blood pressure. Just make sure that you don’t combine sauna use and alcohol, and bring a bottle of water to stay hydrated. You might also want to talk to your doctor first to stay on the safe side. This is especially important if you have any sort of history of kidney or heart problems, or you have a history of losing consciousness.